“Brazilian Voices’ singers share a passion for singing and showcasing the best of Brazilian culture. Aline was born in Rio and grew up in a musical environment influenced by her family’s love of Samba. At 9 years old, she joined a chorus for school performances. Aline has an Engineering background and an M.Sc. in Mechanical Engineering from IME, in addition to a Law degree from UFRJ. She married in 2010 and moved to Miami. Mother of two sweet little children, she is focusing on raising them with the best possible education. Aline loves to exercise, bike, and play the violin. She is very grateful and honored to share the same educational vision of Brazilian Voices. 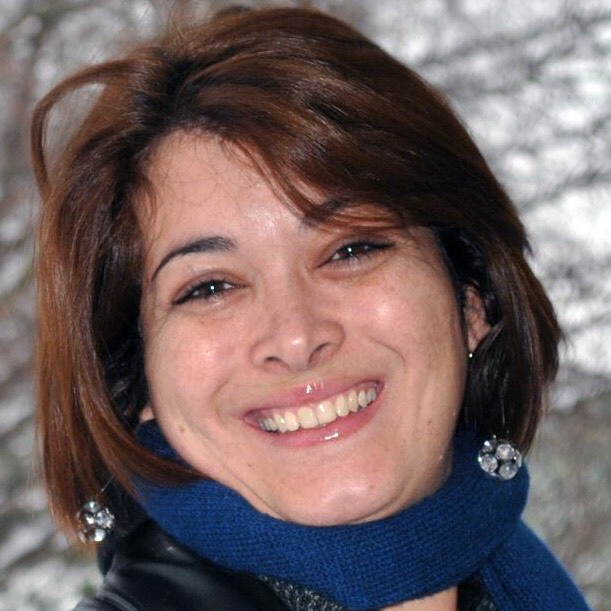 Aneliz was born in Porto Alegre, Rio Grande do Sul, and has lived abroad since 2002. She lived in London for 3 years, and moved to Florida in 2006. Living a very happy married life with two children, Aneliz loves bicycling, the beach, yoga and meditation. She is very proud and excited to be part of Brazilian Voices where everyone experiences the pleasure of sharing joy and love through singing. Andreya was born in Goiânia, Goiás, Brazil. A singer, actress, dancer and journalist for almost 20 years, she was vocalist in the band, “Domingāo do Faustāo” and performed in several musicals with Sao Paulo director Wolf Maya. Andreya has recorded 3 albums, DVDs and several shows around Brazil and internationally. She believes in the transformative power of music, which is why she is delighted to have joined Brazilian Voices. 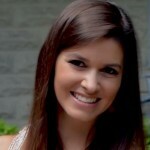 A native New Yorker, Carla loves theater, film, language and music. She studied French and theater at Cornell and at the Sorbonne in Paris. Carla is a veteran actress, singer and director and has extensive producer/writer credits for TV and news. She also directs comedy and musicals at local theaters. Carla, who sings in 11 languages, performed for years with the classical Arcadian Chorale. A Directors Guild of America member, Carla worked on production for such films as Working Girl and Mystic Pizza. 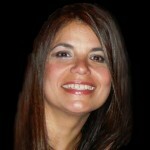 Carla is President of ZMX Inc., a corporate events & media production firm with offices in NJ & FL. Metayer was born in São Paulo, Brasil. She grew up surrounded by music. Her parents sang at church and in a lyric choir. She moved to the United States in 1989, and in 2009, a beautiful gift came into her life: Brazilian Voices, a group of women who touched her heart and soul with music and laughter! Inspired by this wonderful group and talented teachers, Cristina dove into her dream of making a CD. In 2011, she released her first solo CD, “SONHO “. Daniella was born and raised in Rio de Janeiro. She lived in São Paulo for 17 years before moving to Florida in 2014. Married, a proud mother (two economists and a singer), and a pediatrician, she’s a positive person. She’s always been surrounded by music: her grandmother and mother were teachers at UFRJ/Music, and her father loved to sing. Dani has participated in several musical projects in Rio and has some recorded compositions. She “scratches” the guitar and loves to listen to music and sing. A fan of BV, she still can’t believe she is part of the group. Debora was born in California, where she lived as a child, but grew up in Brazil. Living in the city of Niteroi, her grandmother was her first reference in music. She started studying piano at the age of 7. In her 20’s, while studying psychology, she started vocal lessons. She gave her first concert happened in the same year as she graduated from school, 2005. In 2013, she went back to school to study music, but interrupted to come live in the USA. Living in Miami since 2016, after one year in New Jersey, she had the pleasure to find Brazilian Voices. Dilvar was born in Panama City, Panama. 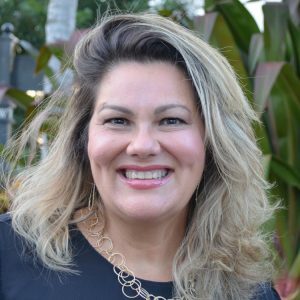 She studied Tourism Management in the University of Panama and moved to Florida in 2001 where she works as a Florida Licensed Insurance Agent. As for her musical passion, she was part of the SGI Music Group “Quinto Milenio” in Panama, and she is an active member of the SGI Florida Ikeda Chorus. Dilvar joined Brazilian Voices in 2008 and loves the tremendous effort this group has been making to promote peace, culture and education through music. Eliana was born in Sao Paulo where she grew up and earned a Degree in Physical Education. 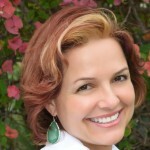 After living five years in Fortaleza, Ceará, Eliana moved to Florida-USA in 1987. She loves practicing Tai Chi, Yoga and Meditation. Music has always been part of her family gatherings and she treasures the memories of happy and fun moments when her father would join the kids in singing. Now she’s very happy to sing with BV, sharing the best that Brazil has to offer: its beautiful music! Santos was born in São Paulo, and graduated in Hotel Administration from Renaissance University. Very passionate about Brazilian Culture (singing and dancing), she joined Brazilian Voices right after she moved from New York to Florida. She performed several times for world peace with a live band at the Queens Community Center, and also at gigs at the Luna de Juarez Restaurant and Morrison’s Pub, all in New York City. Flavia is a native of Santos, in the state of São Paulo, Brazil. Interested in and involved with the arts from an early age, she loves to participate in multi-cultural projects in various platforms and fulfills her passion for music by singing with Brazilian Voices since 2003. Flavia is a citizen of the world whose purpose is to produce creative expressions and to inspire conscious and healthy lifestyles. She enjoys traveling and exploring new projects and adventures with her family, friends and this marvelous vocal group. Isabel Escosteguy moved from Rio to the US in 1990. 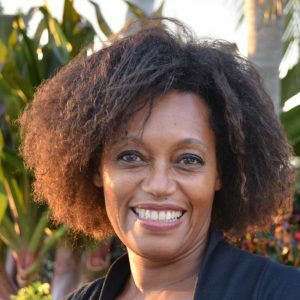 An experienced IT professional with degrees in Math and Computer Science, she works for a company in the healthcare industry engaged in community services and fully supportive of her volunteer activities with BV. Bel joined BV in 2007, where she found an intercultural connection, sense of family and musical fulfillment. She now is co-Coordinator of Brazilian Voices’ Arts & Healing Program. Born in Recife, Joyce moved to Brasilia at 11 months, returning to Recife at 17 to pursue a Bachelor’s Degree in Music. She sang from an early age and began piano studies at nine. Joyce sang, conducted choirs and musical groups from churches where she worked as a Music Minister. 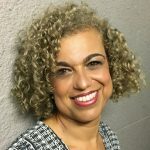 Since 1999 she has taught vocal technique, piano and music for children. 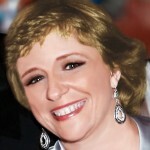 Joyce moved with her husband and daughter to SC, USA in 2010 where she joined a Bossa Nova Club. In 2014 they relocated to Florida and later found Brazilian Voices, a group she is thrilled to be a part of. Born in Rio, Katia is an accountant who, while in Brazil, worked for a major bank, the Coca Cola company and a family accounting firm. When she moved with her family to Dallas in 2007, she dedicated her time to caring for her kids and studying English. Her passion for music started at 9 years old, when she joined the children’s choir at the YMCA. Her father always taught and encouraged her. 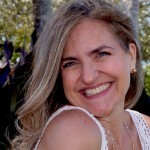 In Florida, Katia started following the work of Brazilian Voices, and her desire to sing resurfaced. She takes vocal lessons and now is proud to be a member of this incredible group. Luciana was born in Soledade, a small town in Rio Grande do Sul. She graduated in Arts, and holds a Masters Degree in Fashion Design. After getting married, she moved with her husband Fernando to São Paulo, and then to the US. She has two sons, Diego and Matheus. She currently works for a company that produces corporate events. She comes from a musical and creative family that has always been involved in music in Brazil; her brothers are musicians and her mother was a radio singer, but it was only in the US that she discovered her true passion: singing. She Joined Brazilian Voices in 2004. Born in Manaus, in the heart of the Amazon rainforest, Marineide grew up in an environment rich in folklore, legends and music. Singing and dancing have always been her passion. As a flight attendant, working for Varig, one of the largest South American airlines at the time, she had the opportunity to explore a variety of cultures around the world. She holds a B.A. Degree in Tourism and a Graduate Degree in Event Management. She is married and has three wonderful daughters. Marineide is very happy and honored to be a member of “Brazilian Voices”. Marize was born in Rio de Janeiro, Brazil. She moved to Florida with her family in 2000. She has a degree in Business Administration. 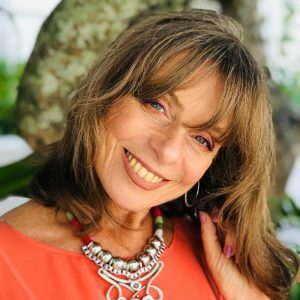 Drawn to Psychology and Integrative Therapies, she studied and graduated in Naturopathy, and while still in Brazil, made her career in those fields. Believing that the Arts, especially music, are powerful tools in the therapeutic and self-healing processes, she found in Brazilian Voices the ideal opportunity to unite her love of Brazilian culture with her healing practices, and to apply and expand her knowledge. 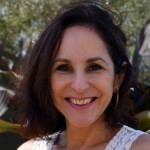 Born in Buenos Aires, Argentina, Monica moved to Weston in 2001. 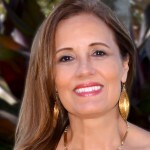 An architect, she is a planner for the Fort Lauderdale-Hollywood International Airport. She is married to Gustavo Firpo and is the mother of three: Valentin, Simona and Teo. Monica has a solid education in Fine Arts and has taken plentiful dance and singing classes throughout her life. She had her “Broadway moment” as part of the cast of “Hair” (Buenos Aires, 1985). She loves Zumba, reading and being in contact with nature. She is immensely grateful for the opportunity to be be a member of BV. 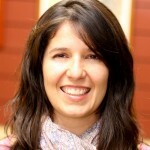 Monica is a psychologist, born and raised in São Paulo, and a proud mother of two. 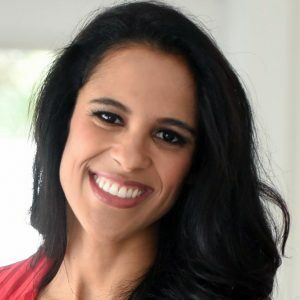 Since she moved to Florida in 2014, she has been delighted to “spark joy” while singing with Brazilian Voices in hospitals, schools and concerts in her beautiful adopted country. 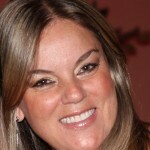 Paula was born in Rio de Janeiro. 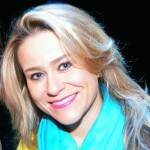 She graduated in System Analysis at PUC/RJ and went on to earn an MBA in Executive Business from COPPEAD/UFRJ. 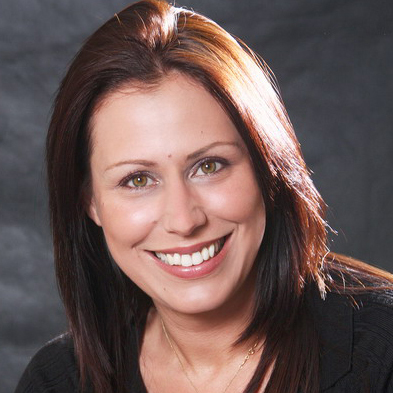 Paula moved to Florida in 2005 with her husband and her 2 daughters and currently works as a CEO in a blood stem bank. She is very musical; she started piano at 9 and has played ever since. She is very happy to sing with Brazilian Voices and to share Brazilian culture in the US. 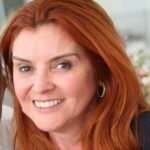 Renata was born in São Paulo, Brazil. 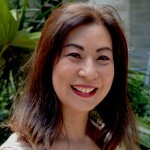 She received a Degree in Arts from FAAP University, and has been working as a home textile designer for over 20 years. Her expertise brought her to the USA in 2001, when she moved with her family to New York. She currently works as a Design Director in Miami. She is a very proud mother of a son, Lucas. Enjoying music since childhood, she used to be part of the University Chorus in Brazil. Today, she is very honored to be part of “Brazilian Voices”, which brings her happiness, and makes her feel closer to her loved ones. Selma is passionate about music and dogs. She studied piano since age seven and sang in a church choirs. She played piano at shopping Malls Iguatemi and Morumbi in São Paulo, where she was born. 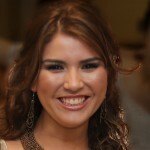 She is graduated in Music Therapy at UNAERP, Ribeirão Preto, and has a Master’s in Marketing and International Business. Since 1999, she has lived in the USA, in MD, CA and now FL. She works in Real Estate and in airplane parts exports. She is very happy to be part of Brazilian Voices and to be able to help the world to be a better place. Silvana is an Architect born and raised in Rio de Janeiro. She moved to New York in 1982 to pursue an MSc degree in Transportation Planning. She shares with her husband a love of music, and together they sang with the University Chorus. After relocating with their two children a number of times between Brazil, USA and Singapore, in 1998, the family settled in Coral Springs. 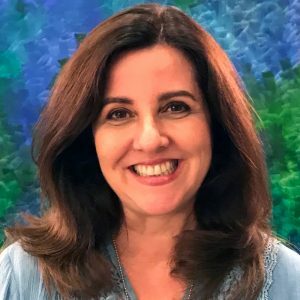 Since joining BV in 2011, Silvana has been a devoted member of the Arts&Healing program and is embraced by friends who are dedicated to sharing Brazilian music and culture throughout our communities. Sue was born in the city of São Paulo. She graduated in Education and Physical Education and holds a Master’s degree in School Administration and Children’s Psychology. Sue was a school principal in Brazil prior to relocating to the US where she had opportunities to continue her studies in Education and also explore new things. She has moved a few times and has lived in Brazil, the US and Switzerland. Sue enjoys exposure to multicultural exchange, diversity, arts and education, and Brazilian Voices has allowed her to become involved in many of the things she loves. 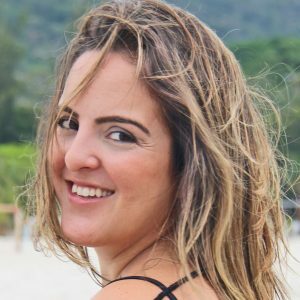 Born in Brazil, living in Miami and traveling as often as possible, Thaís has a BA in International Relations and an MBA in Marketing. 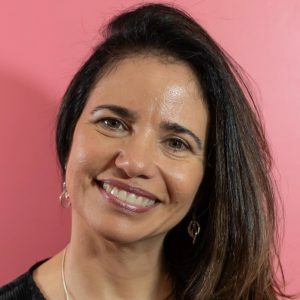 She is a communications and public relations professional leading successful programs for multicultural audiences in the U.S. and Latin America for companies such as the Brazilian-American Chamber of Commerce of Florida, Odebrecht, FedEx, and JeffreyGroup. 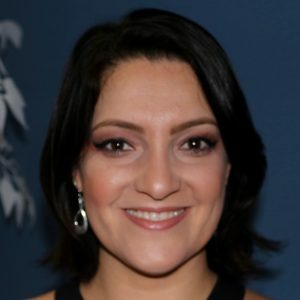 Besides playing the keyboard and piano, she undertook composition lessons in 2002 with Loren Oliveira, when she joined Brazilian Voices: a self-endeavor of art, culture, friendship, and heritage. 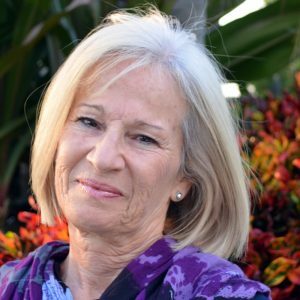 Virginia is a passionate Educator working with high school students in Broward County. 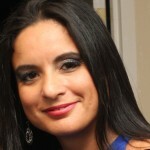 She is originally from Fortaleza, Ceara, Brazil and moved to the USA in 2001. She found in Brazilian Voices a home where she expresses herself and shares the common thread all the singers have in common: a love for Brazil and its culture. She believes our culture is a source of peace and joy, which she feels very privileged to share. Born in São Paulo, SP, she has a BA and a Master’s degree in Business Administration. Even though she spent most of her life working in the Financial field, her passion has been music since childhood. She sang with her parents, who loved to sing too. After her marriage, she participated in festivals with her husband, playing guitar, and doing some backing vocals. In 2001, she moved to Florida, and in 2004, she had the opportunity and good fortune to become part of this wonderful group, and its projects.